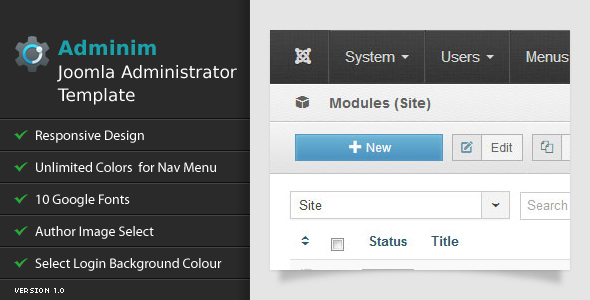 Here is another theme option for your Joomla Administrator Panel. Adminim is a free stunning Joomla 3.X Responsive Admin Template built for your Joomla sites. You can select 2 different gradient color with color picker for background of Nav Menu.